At The Excavators, LLC we can handle all your needs when it comes to directional drilling. Whether you are a residential or commercial customer, we offer directional drilling Portland for water, power, and sewer lines . We understand that you may have a few concerns when it comes to directional drilling on your property, but assure you that with our years of experience in the business, we are the most highly qualified directional drilling contractors in the area. Whether you need complete services or just the drill, we will get your needs taken care of. Operations are able to continue as normal. Infrastructure installations are easily avoidable. Roads, buildings, natural features, and other structures are able to stay intact. Due to the directional excavation here is only a minimal disturbance to nature. Site restoration is at a minimum after directional drilling. 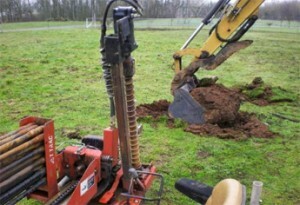 Why Choose Us for Directional Drilling Portland? Because we are family owned and operated, we have a deep concern for each and every customer’s needs. We place customer satisfaction at the top of our priority list. We have all the equipment necessary to get the job done right and get it done in a timely manner. We serve a variety of areas and are willing to travel in order to get your directional excavation job done. When you need directional drilling in Portland, contact the professionals with the most experience and the most dedication. Whether it’s water, power, or sewer repair in Portland, contact us at 503.869.0910 to learn more about directional drilling and what we can do for you.